My take: Veronica Speedwell receives an offer she can’t refuse: Accompany Lord Templeton-Vane to his long time friend’s home (a castle on an island off the Cornish coast) for a few weeks and she’ll receive a prized butterfly colony for the museum she and her colleague Stoker are creating. Easy-peasy, right? Not really. Upon arriving at the castle Veronica meets the rather quirky family who reside there along with their interesting staff. It soon becomes clear why Lord Templeton-Vane, Stoker and Veronica have been invited. There’s a mystery to be solved – what became of the lord of the castle’s bride who vanished on their wedding day a few years earlier. There are plenty of suspects who could be responsible for her disappearance. The characters, the atmospheric setting of a castle on an island, and the mystery of the bride combined to make my first Veronica Speedwell Mystery an enjoyable read. I liked the more-than-friends tension between Veronica and Stoker and look forward to seeing what caper they find themselves involved in next. Deanna Raybourn is the author of the award-winning, New York Times bestselling Lady Julia Grey series, currently in development for television, as well as the Veronica Speedwell Mysteries and several standalone novels. 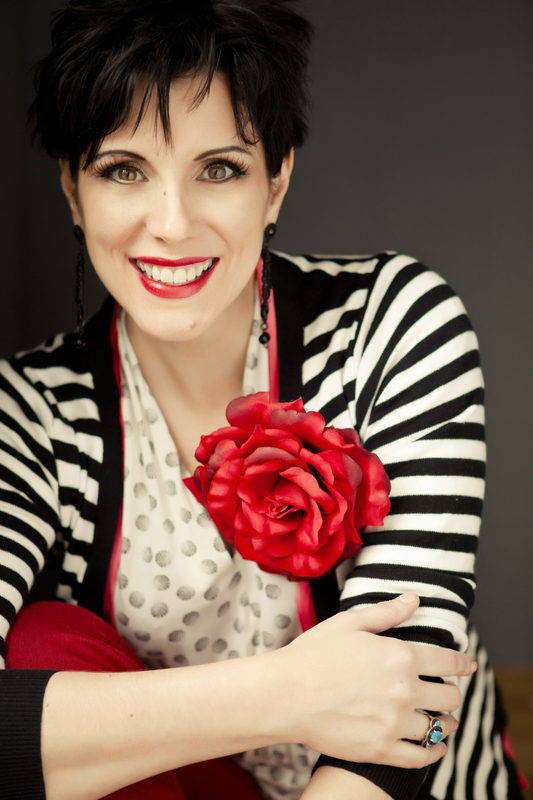 Visit her online at www.deannaraybourn.com, on Facebook at DeannaRaybournAuthor, and on Twitter @deannaraybourn. Though a lepidopterist by trade, Veronica Speedwell has been up to much more than chasing after rare specimens of butterflies. Continuing on after the exhilarating adventures of A Curious Beginning, it’s difficult to imagine how the spunky and spirited Victorian-era sleuth could find herself caught up in even more thrilling and dangerous exploits. But young Miss Speedwell is not one to disappoint. After weeks of chasing down clues leading to her mysterious past, being on the run for her life, and having quite literally run off to join a traveling circus, cooling her heels in a relatively calm London already has Veronica itching for her next invigorating jaunt. Happily, just such an opportunity soon arrives at her doorstep in the form of an invitation to the Curiosity Club, a ladies-only establishment dedicated to celebrating society’s most intrepid and brilliant women. Shortly after arriving at the club, Veronica is introduced to Lady Sundridge who implores her to undertake a seemingly impossible task. Miles Ramsforth, one of society’s well-known patrons of the arts, has been convicted of a brutal murder that Lady Sundridge is certain he did not commit. With little time left to discover the true killer’s identity, Veronica is faced with a race against time before Miles is set to hang for the crime. However, Lady Sundridge is not exactly what she seems either—a revelation that only serves as the first of many that Veronica must make in order to solve the case. Once again Veronica joins forces with her natural historian colleague, Stoker—her frequently uncouth, though ruggedly handsome companion—as they set off to unravel this dark mystery that becomes increasingly intricate with each clue they unearth. 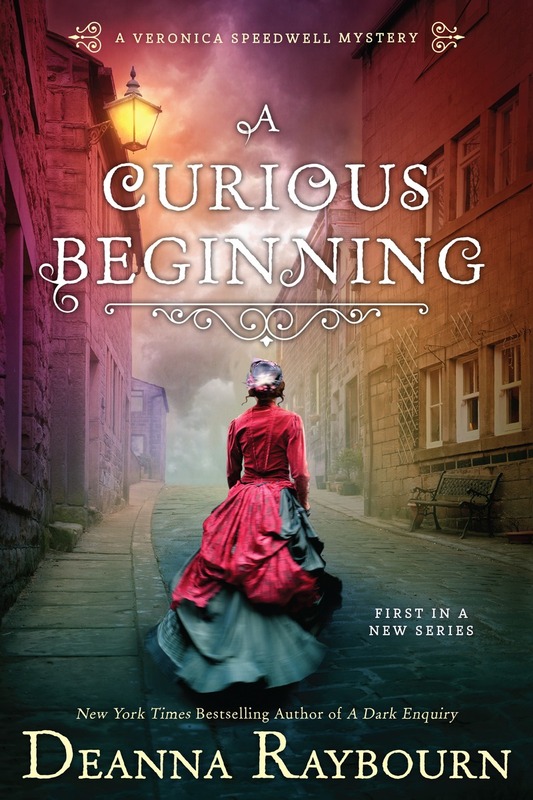 A Curious Beginning is back with a new cover for the reprint release on July 12th. To celebrate NAL is giving away a copy to one lucky US reader! Description: Veronica Speedwell is not your typical Victorian-era woman. Scoffing at the notion of marriage, she is a lepidopterist by training and has traveled the world searching for rare specimens of butterflies, leading to several series of adventures around the world. However, mere hours after burying the second of the two spinster aunts who raised her, she comes home to find her cottage being ransacked and is saved by the kind, yet mysterious Baron von Stauffenbach, who warns her of impending danger. Thus begins the aptly named A CURIOUS BEGINNING (NAL Trade Paperback Reprint; July 12, 2016; $15.00), now available in trade paperback. Packing her few belongings (most importantly her trusty butterfly net), Veronica follows the Baron to London where he leaves her in the care of the ill-tempered naturalist, Stoker. However, the Baron himself is brutally murdered and Stoker fears that they may be being set-up to take the fall, he and Veronica elude the authorities. Aided by her sharp wit (and tongue), the hirsute Stoker, and a well-placed hatpin, Veronica flees London. However, there are still mysterious men trying to single her out. And Stoker, keeping his oath to the Baron, tries to keep her safe at any cost. What follows is a series of adventures involving noble families, harrowing boat escapes, a stuffed mouse, and a traveling freak show. As Veronica and Stoker get closer to uncovering the Baron’s killer, more details emerge about how this is related to Veronica, as there is still a threat to her safety. And that threat is tied to her true parentage. Deanna Raybourn is the author of the award-winning, New York Times bestselling Lady Julia Grey mysteries and several standalone novels. She lives in Virginia with her family. Veronica Speedwell is not your typical Victorian-era woman. Scoffing at the notion of marriage, she is a lepidopterist by training and has traveled the world searching for rare specimens of butterflies, leading to several series of adventures around the world. However, mere hours after burying the second of the two spinster aunts who raised her, she comes home to find her cottage being ransacked and is saved by the kind, yet mysterious Baron von Stauffenbach, who warns her of impending danger. Thus begins the aptly named A CURIOUS BEGINNING (New American Library; Hardcover; September 1, 2015; $25.95).